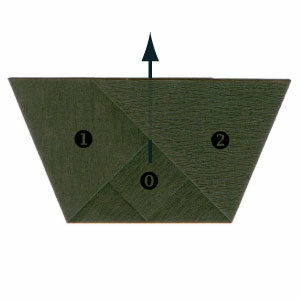 Apply the left valley-fold and then the right valley-fold of the step #4. There are three layers: (0) the bottom layer, (1) next layer, and (2) the front-most layer. Pull the bottom layer up. 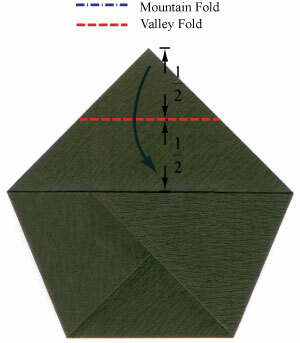 Prepare to apply a horizontal valley-fold on the front-most layer only.